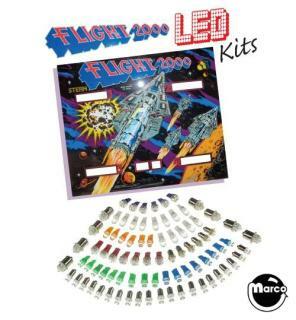 "FLIGHT 2000 (Stern) LED lamp kit" has been added to your cart. 138 piece LED Lamp complete conversion kit for the Stern FLIGHT 2000 pinball machine. 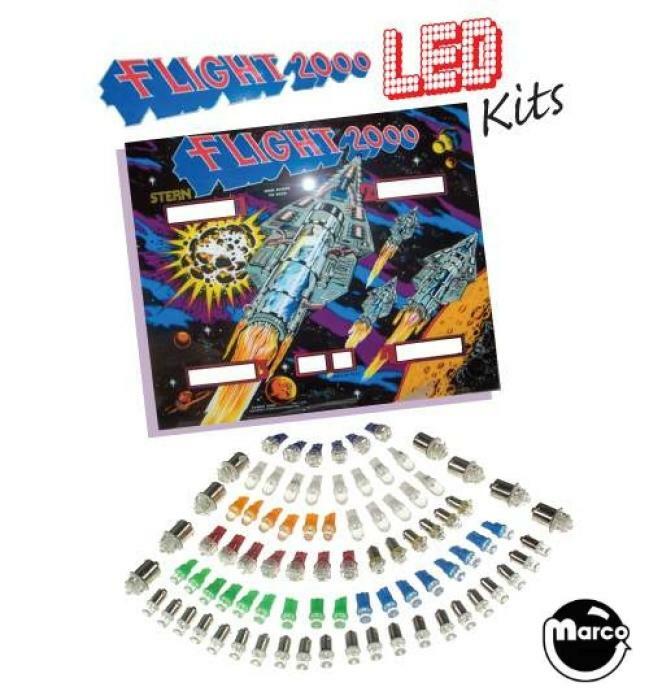 Includes new, cool, high efficiency, long-life, plug-in replacement LED lamps for all flashers, playfield general illumination, and playfield switched feature lamps. This custom LED lamp assortment of colors and sizes has been designed by a consensus of owners of this machine for correct visual accents and a balanced illumination presentation.